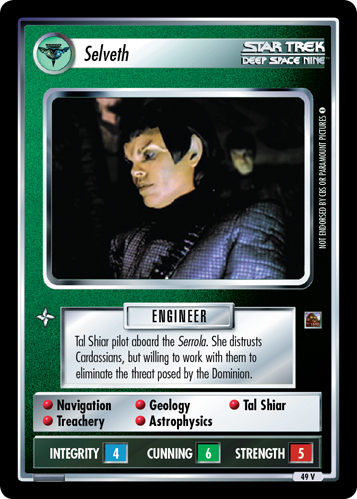 Intelligence analyst sent to retrieve information on the Dominion threat. 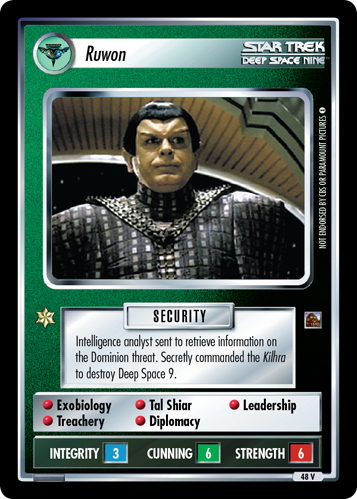 Secretly commanded the Kilhra to destroy Deep Space 9. 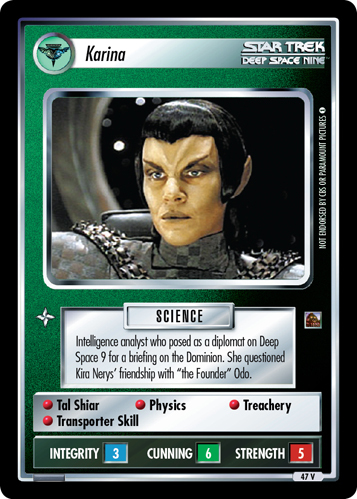 Image Source: Deep Space Nine: "Visionary"